These are great numbers and visible, but mainly because of their large size it is worth the price. The color is a bit light so if it is far from the road it may be difficult to see. Maykke Hugo Stainless Steel House Number "8"
I bought these house numbers to go on our house since it is set back off the road. They were a little bigger then I had pictured but I like that they are. The finish is nice and the font looks great. Very stylish and current. "How wide is the number 8?" 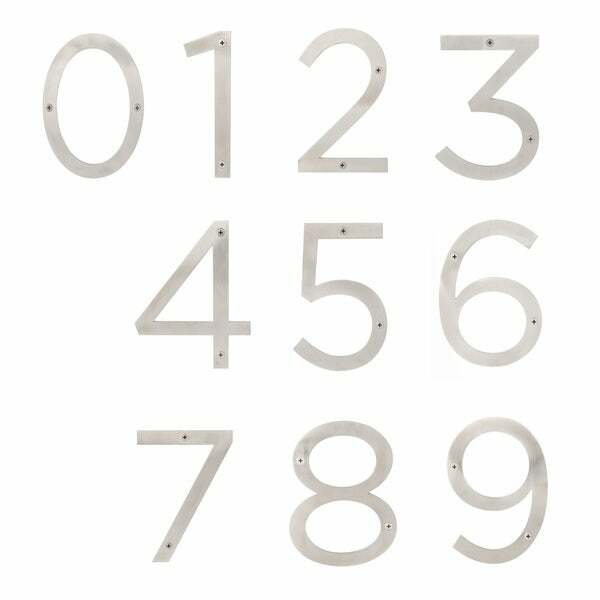 Maykke Hugo Stainless Steel House Number "4"